Join us for our monthly networking lunches where you can meet other Chamber members and learn about current topics of interest. 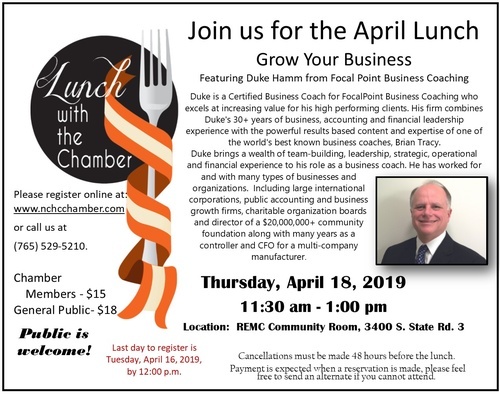 "Grow Your Business" will be our topic with Duke Hamm as our featured speaker. 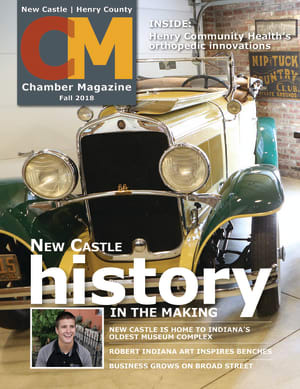 More details can be found in your weekly Chamber eblast or by calling the Chamber office at 765-529-5210.